I purchased my Gateway with the Smart Home Aqara Security Kit. This came with the Gateway, a Button, and 2 Door/Window Sensors (as pictured above), but there are other kits available. 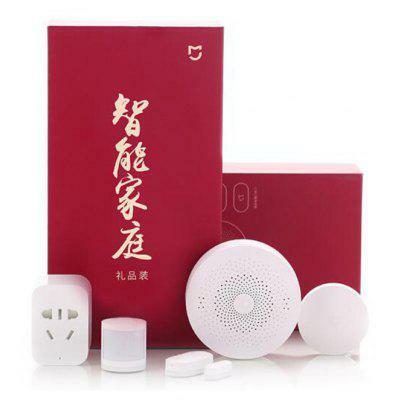 The Xiaomi 5 in 1 Smart Home Security Kit includes the Gateway, a Button, a Door/Window Sensor, a Motion Sensor, and the Outlet (Zigbee Version). 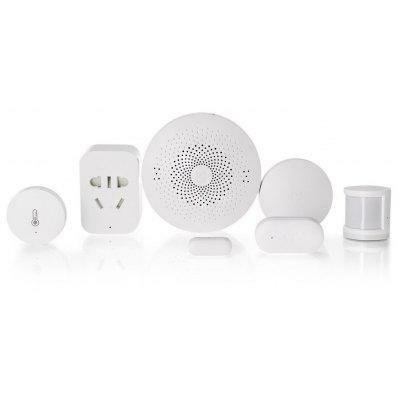 Lastly, there’s the Xiaomi mijia 6 in 1 Smart Home Security Kit, which includes The Gateway, a Button, a Door/Window Sensor, a Motion Sensor, an Outlet (Zigbee Version), and a Temperature Humidity Sensor.